YouTube, a Google company, is a video sharing platform where users can upload, view and share original content. The popular service had grown rapidly (over 1 billion unique users worldwide per month, according to Reuters), and design elements had been created as needed by separate teams with no centralized guiding philosophy. 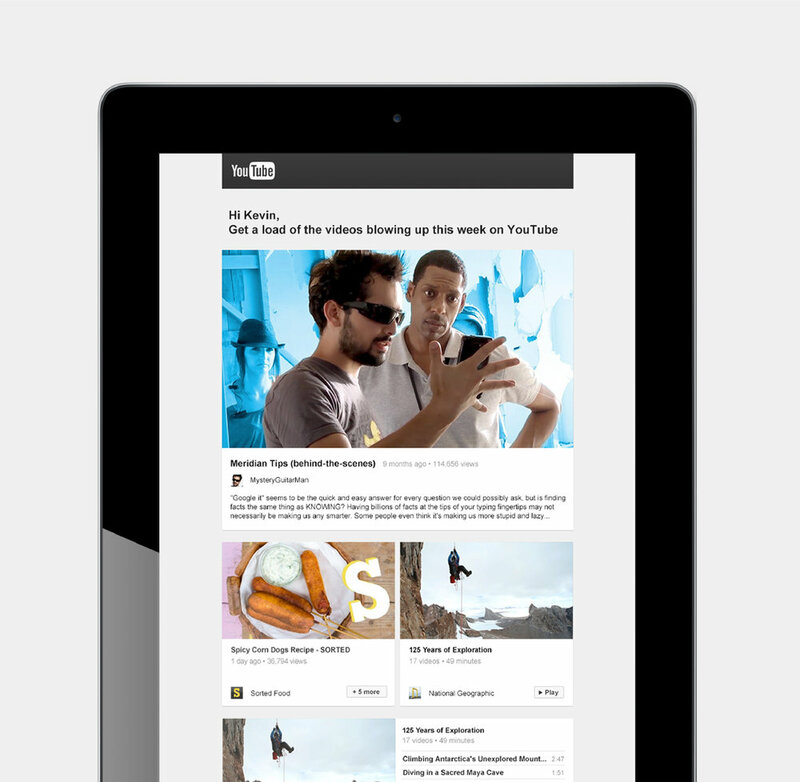 YouTube needed a uniform set of elements and systematic usage across the brand. I was brought in to create cross-platform consistency of the visual elements that could not only be used over Android, iPhone, web and TV, but could also be given to external marketing partners. Working closely with a subset of the internal team to determine the key characteristics of the brand, I created brand guidelines with an agreed upon set of assets to be included. Fifty new icons were designed and incorporated into the guide as a start to a universal icon set. In addition to the guideline work, I designed a responsive, marketing email template. *My creative studio, Ethera, partnered with Egghaus to work with YouTube.